Field dressing isn’t a pretty process, but it comes with the territory if you’re a hunter. If you’re hunting deer, you know how important it is to get the job done as quickly as possible. The longer it takes, the more you stand the risk of losing body heat and bacteria growing on the surface of the carcass. 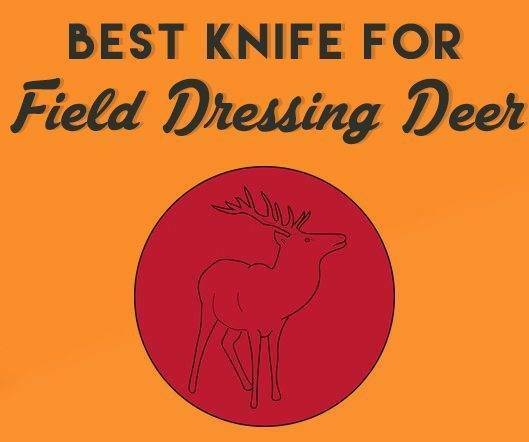 But to field-dress a deer quickly, you need the right knife. One that’s sharp and easily accessible. Which knife is the best option? There are many to choose from, but I’m going to share my two favorites. One is a fixed blade knife, and the other a folding knife. Both are excellent choices, and I’ve relied on them for years. If I could only choose one knife to bring with me in the field, it would be the Bark River Bravo 1. With a fixed blade and a 4.25” full tang blade, this knife has never failed me. The Bravo 1 boasts a convex ground blade made with A2 steel that’s .215” thick. With a hardness rating of 59 RC, this is one tough blade. It’s easy to sharpen, too, so you can continue using this blade through numerous hunting seasons. Because it’s not made with stainless steel, it has become discolored over the years, but this is normal for any A2 steel blade. With an exceptionally sharp blade, the Bravo 1 makes field-dressing quick and easy. Because this is a fixed blade and not a folding knife, I never have to worry about the blade accidently closing on my fingers while in the middle of gutting a deer. While Bark River offers a few different handle options, the Black Canvas Micarta is my preferred choice. It’s sleek, comfortable to hold, and feels good in your hand. Ergonomically-designed, I’ve never had this knife slip out of my hand once. I will admit that handling this knife takes some getting used to. The ramp on top of the blade is not actually a thumb ramp, so you’ll need to position your thumb just above this ridge. Otherwise, you will nick yourself. The purpose of this ridge is to put more pressure on over the plunge line. The Bravo 1 also comes with a beautiful leather sheath that matches the quality of this knife. The sheath easily attaches to a belt and even includes a loop for a fire steel. On a side note: the Bravo 1 was originally designed for a U.S. Marine Corps training center, and this knife is still preferred by military and private contractors today. Like other hunters, I enjoy this knife because it’s great for heavy outdoor use as well as field-dressing. It’s a bit pricier than other knives, but it’s worth every penny. Revered for their high quality and lifetime warranty, Buck Knives is a name that hunters know and trust. I’ve been using the 279BKS folding knife for a while now, and it has never let me down. The one thing that I love about this knife is that it’s a folding model with a lockback mechanism. I touched on the importance of this earlier, but I’ll reiterate again: lockback knives lock into position when they’re fully opened. This means that I can field-dress a deer quickly without worrying about the knife closing on my finger or hand. The 279BKS has a 3.5” blade made of 420HC steel, which makes it ideal for field dressing. It’s also a great choice for other outdoor uses, so it’s incredibly versatile. When closed, this knife shrinks down to just 5” in length – the perfect size for your back pocket. And at just 8oz, this knife never weighs me down. Some folding knives can be stiff and uncomfortable to hold, but the 279BKS has a rubberized handle that feels good in your hand. The handle is wrapped in a stainless steel frame for added durability. Because this is a folding knife, you wouldn’t expect it to come with a sheath. After all, you technically don’t need one, although they add an extra layer of safety. But this Buck Knife does include a nylon sheath that’s heavy duty. I keep this knife in its sheath all the time to protect it from the elements and further protect myself from accidental injury. If you could not take the Bravo 1 with you on your next hunting trip, the Buck Knives 279BKS would be my next choice. It’s lightweight, locks into the open position, and is incredibly sharp. A knife is the most practical way to field-dress a deer. While you can use saws or axes, these larger tools are impractical when you’re hunting in remote places. The right knife will be lightweight, easy to carry and even easier to access. But these aren’t the only benefits they offer. A knife with a sharp blade will cut through the deer’s skin with ease, making it easier to harvest the organs. With the right knife, you can get the job done much quicker, which helps preserve the quality of the meat and prevent contaminations. 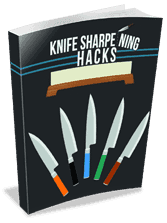 The wrong knife will make it difficult to cut through the skin in a timely manner. Knives are easy to carry. Most knives that are suitable for field dressing are small enough to fit in your pocket. Because they’re easily accessible, you can get started as soon as you’ve confirmed that the deer is dead. Some larger knives may be inconvenient to carry and not as easily accessible, which wastes precious time. Other tools, such as axes and saws, are also inconvenient because of their heavy weight. When you use a knife that’s specifically designed for field dressing, you greatly aid in sanitation – especially if you use surgical gloves as well (and you should be). Any hunter worth his salt will tell you that a sharp knife and a pair of gloves are all you need to safely and successfully field-dress a deer. The sharper the knife is, the quicker the job gets done, and the lesser the chance of bacteria forming. The right knife will be safe and durable. A lockback blade, in particular, is one of the safest knives you can use. These knives have mechanisms that lock the blade in place once it’s opened. This prevents the knife from accidentally closing on your finger during use, which could lead to serious injury. Folding knives, in general, are a safe option simply because you can carry them in your pocket without worry that the blade will open and cause accidental injury. 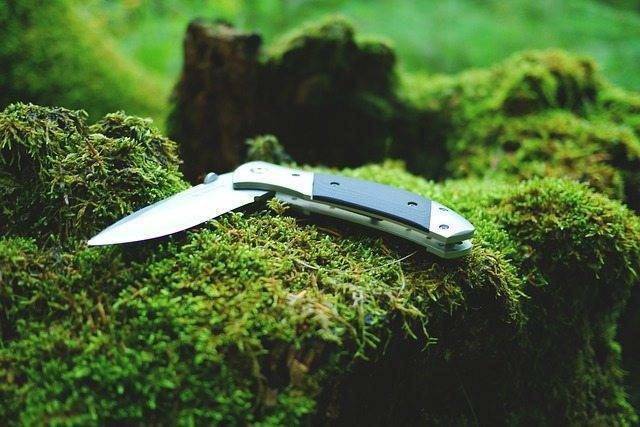 A good field dressing knife is durable, too, which means that your blade will last years before you need to replace it. These are knives that are reliable, solid and effective – exactly what every hunter needs. When it comes to field dressing deer and big game, you don’t want to take your chances with a subpar knife. To do the job right, you need to use the right knife. The Bark River Bravo 1 fits the bill, but the Buck Knives 279BKS comes in at a close second. Either of these knives can get the job done quickly, and I’ve relied on both for years.